UMP | University of Minnesota Press Blog: From the often-unnecessarily-shunned performer Henry Wood to the now-impossible Charlie Sheen: My, how times have changed. From the often-unnecessarily-shunned performer Henry Wood to the now-impossible Charlie Sheen: My, how times have changed. A circa-1900 image of Grand Theatre in Buffalo, New York. While vaudeville as an art form peaked around 1928, Wisconsin's Henry Wood, who began his life in traveling medicine and tent shows around 1910, continued to promote small-town films, shows, and carnivals almost to the end of his days. He passed away in October 1983. Image from Creative Commons. Who would have thought that a poorly educated meat cutter's son from Viroqua, Wisconsin, might one day stand on the threshold of stardom in one of the world's most glamorous professions? If he were alive today, Henry Wood wouldn’t comprehend the recent antics and rants by Charlie Sheen, Lindsay Lohan and other wealthy, pampered celebrities. Henry spent more than three decades in show business himself, and couldn’t relate to prima donna behavior. He’d have had no patience with ego-driven tantrums. Henry always maintained that entertaining audiences was a high privilege and an entertainer was beholden to his or her audience who didn’t care a whit about whether an actor loathed his director or producer, or that a car-parking valet didn’t genuflect in his presence. Henry viewed his show business tenure as almost a sacred calling, and he would have never dreamed of defaming the profession he so deeply cherished. While it seems as though practically everyone on the planet is aware of Charlie Sheen and other troubled luminaries who grace the covers of supermarket tabloids, you’re excused if you’ve never heard of Henry Jarvis Wood. Henry never made a movie, and never appeared on television, never had his picture in a newspaper, nor was he interviewed by reporters. But he was show business through and through. He performed in medicine and tent shows from 1910 into the early 1940s. In 1910 when he was only 12 years old Henry ran away from his Viroqua, Wisconsin, home and joined a traveling medicine show in La Crosse. His first job was to brew supposed "cure-all" elixirs, but his career evolved into performing. In turn he was a song and dance man, a virtuoso on the musical saw, and an actor, whose specialty was portraying villains in the clichéd melodramas that were the stock in trade for those old touring tent companies that crisscrossed rural America from the 1880s until the advent of World War II. But playing the “heavy” in the days before radio and television came at a cost. The mostly rural audiences for touring tent shows were unsophisticated and often couldn’t distinguish between Henry’s onstage characters and Henry himself. Those old-time villains endured more than boos and hisses; Henry was frequently refused service in restaurants, evicted from hotels and boarding houses. He was sometimes threatened with physical violence when audiences thought the malefactor had gone too far as in one play where he evicted his widowed mother from her home and sent her to the poor house. That role brought embarrassment to Henry’s own mother, who wept after seeing this performance. “We never taught you to behave like that,” she told him, and his future father-in-law called Henry a monster and warned him to stay away from his daughter. largest vaudeville houses in the country. In the small heartland communities of the Midwest where most of the stock companies Henry worked for performed, he really did have to watch his back. In Pine City, Minnesota, an outraged woman struck him with her umbrella when she encountered him on the street. But Henry never went ballistic; instead he demanded—and got—pay raises. He stayed the course, certain of his calling to bring entertainment to people removed from the urban culture that was emerging in America. The old medicine and tent shows of that era were regarded as déclassé by true vaudevillians who performed in theaters, not tents. 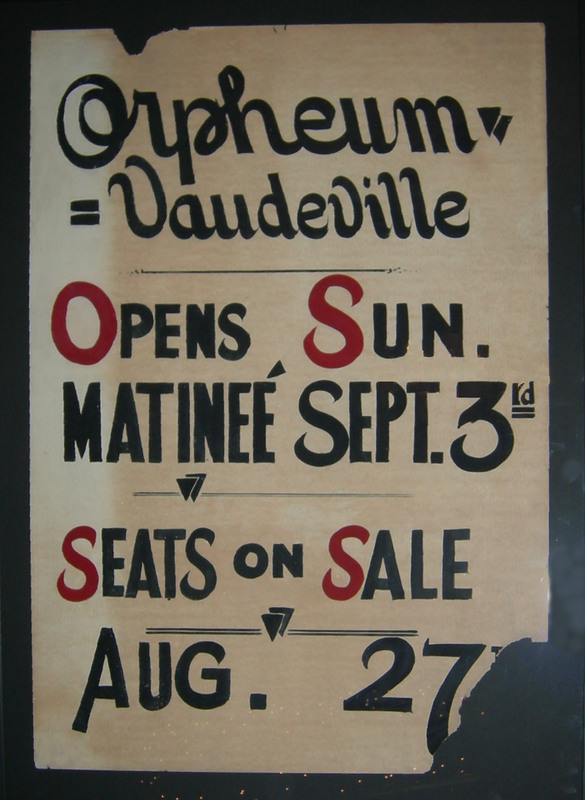 Many vaudevillians ascended to icon status, playing the Orpheum circuit or New York’s famed Palace Theater. Scores of them graduated into radio, television and films. A number of these performers also amassed great personal wealth. Tent show actors and musicians, on the other hand, rarely advanced beyond those venues, laboring in relative obscurity. Neither wealth nor fame was in the cards for Henry Wood, but performing was in his blood. And he did attain a touch of celebrity whenever a fan requested an autograph. Henry told me he felt honored to sign his name, and couldn’t conceive of any performer refusing so simple a request. Henry’s career predates Sheen’s and Lohan’s by decades. There was no room for narcissistic behavior. How times have changed. Henry’s time is recounted in his book, A Sawdust Heart, My Vaudeville Life in Medicine and Tent Shows. Henry articulates the hardscrabble existence of marginal performers who, unlike the megastars of today, never captured the attention of media, and whenever audience attendance slackened, they often wondered if the boss would meet that week’s payroll. But Henry and his fellow performers from that era took satisfaction in knowing they brought pleasure to citizens in hinterland backwaters—places New York and Hollywood never knew existed. 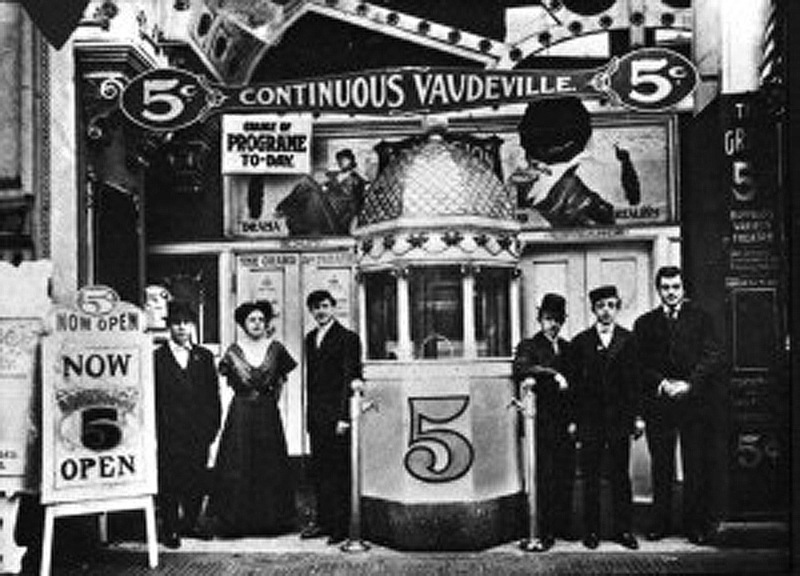 Read more about the life of Henry Wood in A Sawdust Heart: My Vaudeville Life in Medicine and Tent Shows, by Henry Wood, as told to Michael Fedo. "Those old trails and dried-out creek beds that served as roads and highways for long-ago touring troupes are gone, but the memories of the travels and the thickly carpeted sawdust floors are forever vivid in my mind. Though it all began more than sixty years ago, it was really only yesterday in the history of theater. For my part, I'm proud to have played a small role in it." Henry's life story and Mike's book is a revealing look at entertainment in that period of history which is mostly an untold mystery. It is a delightful read. Your spin looking at those days and players compared to some of the rascals today shines a deserved light on the life of Henry Wood. I am conducting research on the history of the musical saw. I found this page during a Google search for Henry Wood the musical saw player. Do you happen to have a photo of him playing the saw, please? Do you know what brand of saw he played and how he came to learn to play the saw, please? Thank you for this blog. I am one of Henry's daughters. Our Father would be so pleased with all that has been written about him, He was a good man and loved what he did. How cool is this? I have lots of nice memories of Grandpa Wood. It makes me smile thinking about his ornery sense of humor or his love of music. He and Grandma would come and visit us in California towing their trailer behind them and sometimes parked in our driveway. They had a little white poodle named Pierre who was mean .... When he would growl or bark and snip and anybody, Grandpa would laugh and say "good boy". He loved that dog. Grandpa also had an organ in the trailer and he taught me "Bridge Over Troubled Water" from a Simon & Garfunkel song book he had with him. Michael, thank you for filling in so many blanks. The book made me laugh and cry as I can see and hear him again.